"We're entering a completely unknown world"
"Are we entering a new paradigm?" asks Roland Berger CEO Charles-Edouard Bouée, while pointing out that international markets have been immune to the political and economic events of the past few months. The "new unknown" being, whether it will stay this way or whether we will head into even more difficult times. 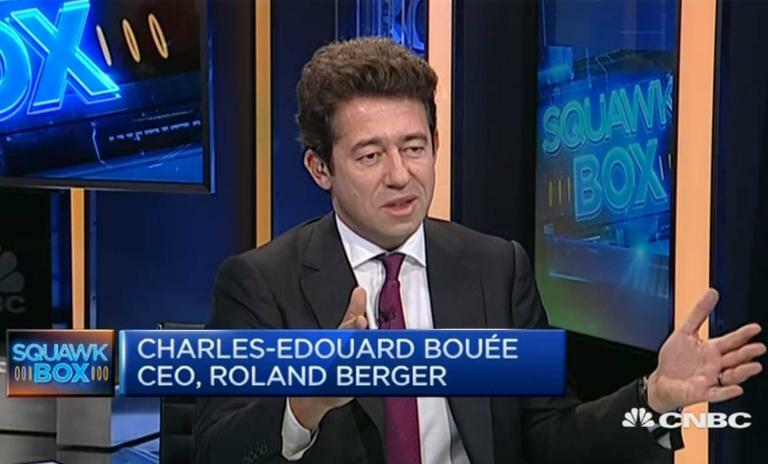 In an interview with CNBC, Mr. Bouée sheds light on geopolitical and economic trends around the world. He states that while on one hand people are optimistic in terms of consumer confidence, on the other, they are very disgruntled in many countries. Watch the video for all of Charles-Edouard Bouée's expert insights.